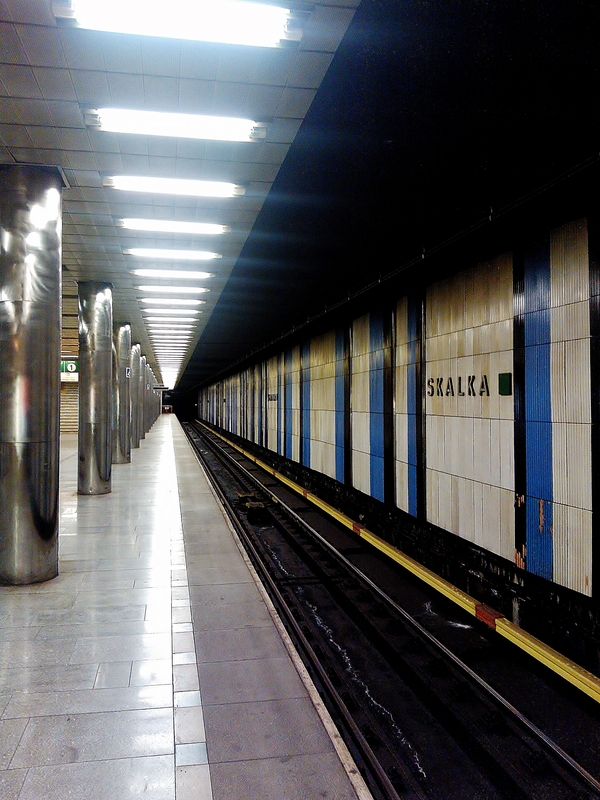 Skalka is the Metro station on green line A in Prague, Czech Republic. 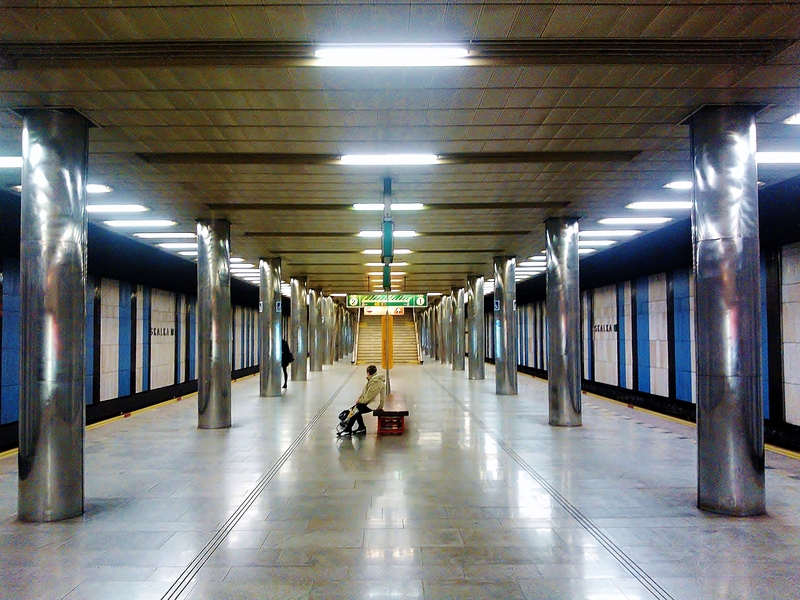 It was opened on July 4, 1990, and till May 25, 2006 was the final station. It is 9.25 meters below the surface. 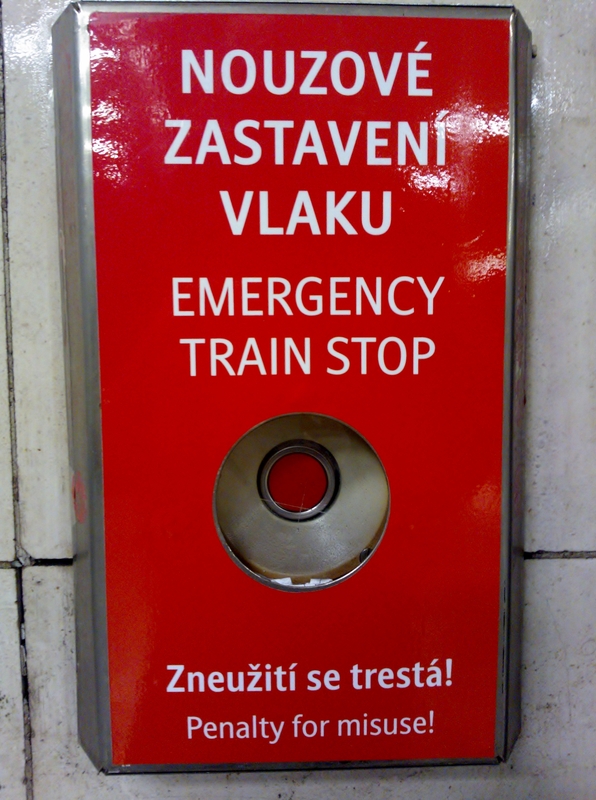 This entry was posted in Life/Photography and tagged Car, City, Commute, Czech Republic, Design, Hall, Metro, Mind the gap, People, Platform, Prague, Praha, Public Trasport, Rails, Skalka, Station, Stop, Subway, Tiles, Trafic, Train, transportation, Underground, Vestibul. Bookmark the permalink. reminds me of Piet Mondrian. Nice pics… thanks for follow me .. Such excellent lines and geometry love the aesthetic.